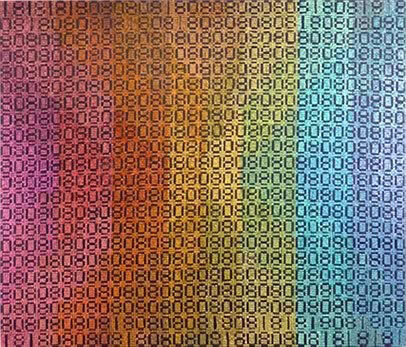 A current New York favourite, Xylor Jane's painting is based on complex systems of coding derived from the Fibonacci sequence, prime numbers and other areas of numerology. In recent work, numbers themselves are incorporated into the paintings as a kind of biographical element representing key moments in the artist's life. 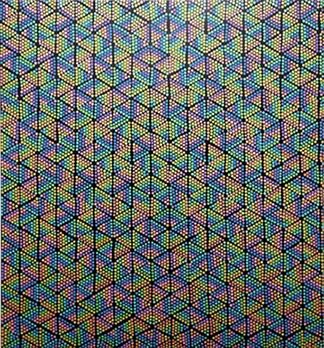 The dizzying vibrancy of Xylor Jane's practice is highly reminiscent of Op Art, an influence making an unexpected comeback in new contemporary abstraction.